Ghana’s recently crowned WBO Africa lightweight champion, George ‘Red Tiger’ Ashie has officially began a 3-year management stint with Dubai based leading boxing management firm, MTK Global after formally signing up in Accra today. Ashie (28-4-1, 20 KOs) defeated Michael Mokoena of South Africa at the Bukom Boxing Arena in the Ghana capital late last month to win the WBO Africa belt and most importantly position himself for possible entry into the world ratings and thus edge closer to the world title currently held by Raymundo Beltran of Mexico. 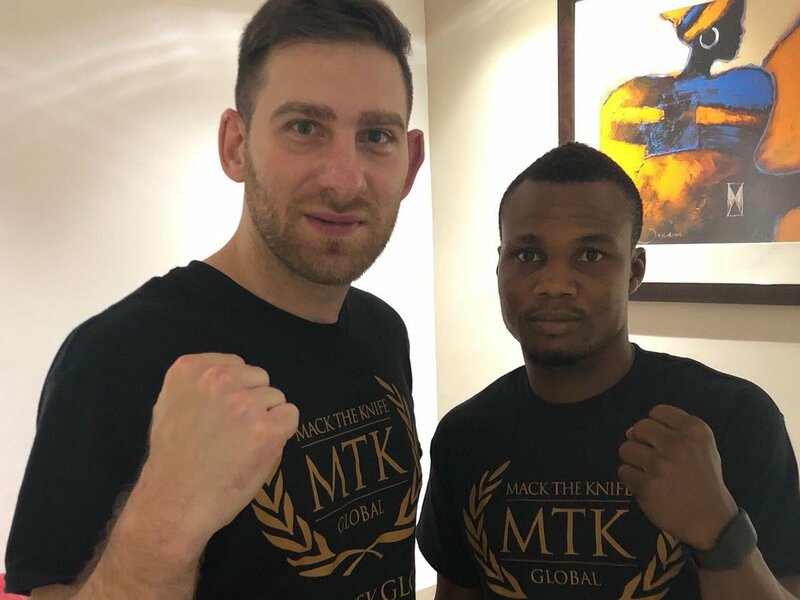 Now the Ghanaian boxer’s world championship dreams have received a major boost by the signing with MTK Global who boast in their stable notable global boxing stars like Tyson Fury, Billy Joe Saunders, Carl Frampton, Michael Conlan, Liam Smith, UFC star Darren Till and many others numbering over 150 athletes in total. “I’m really excited George has opted to sign for MTK Global because I’ve seen potential in him for a long time,” said MTK Global’s International Consultant, Mike Altamura who sealed the deal with the boxer. “George is a humble warrior with a true fighting spirit. He’s a gentleman of the game and is long overdue an opportunity to fight the top lightweights in the world,” Altamura continued. “We’ll be able to ensure he gets the right conditions in terms of training camps and the opportunity to challenge for a world championship,” he added. Ashie who previously won the Commonwealth lightweight title in 2011, a title he first challenged for against multiple world title challenger, Kevin Mitchell in London back in 2006, has not lost since a controversial decision to local rival, Emmanuel Tagoe in 2012 and is hailing the new move as the perfect one his career needed at this point in time. “The road is set for greatness with MTK Global. I signed with them because I believe their team has what it takes to place me in fights that will move me towards a world title,” the Ghanaian fighter stated. “Once I get that shot at one of the champions, I won’t disappoint. I’m fully prepared to achieve greatness and become a world champion in the very near future,” Ashie pledged.